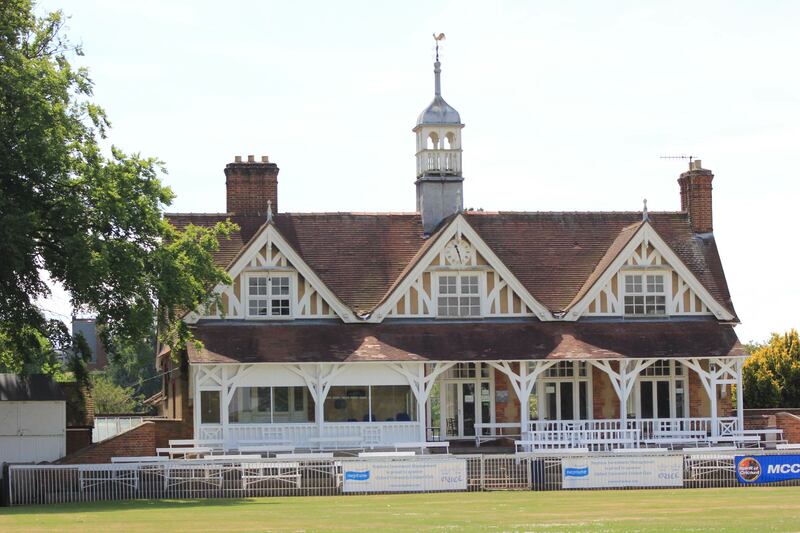 Oxford University Cricket Club (OUCC) has a rich history dating back to the inaugural match against Cambridge University in 1827, a fixture that is still played to this day. 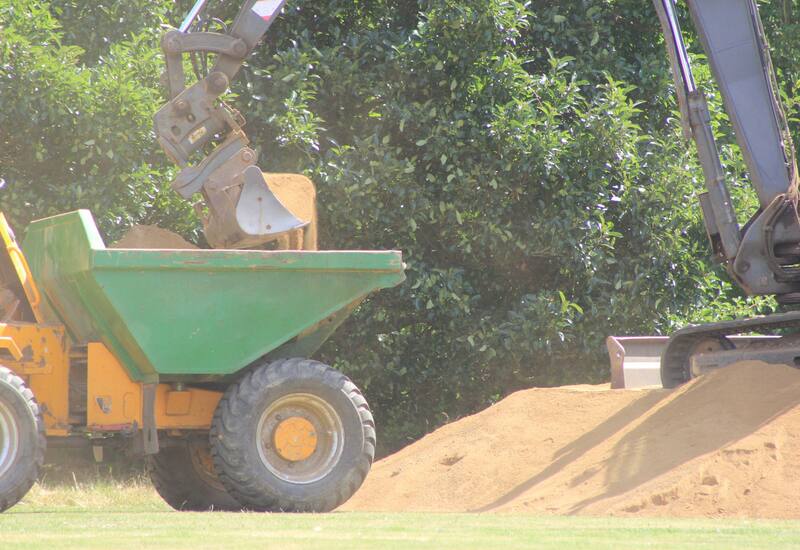 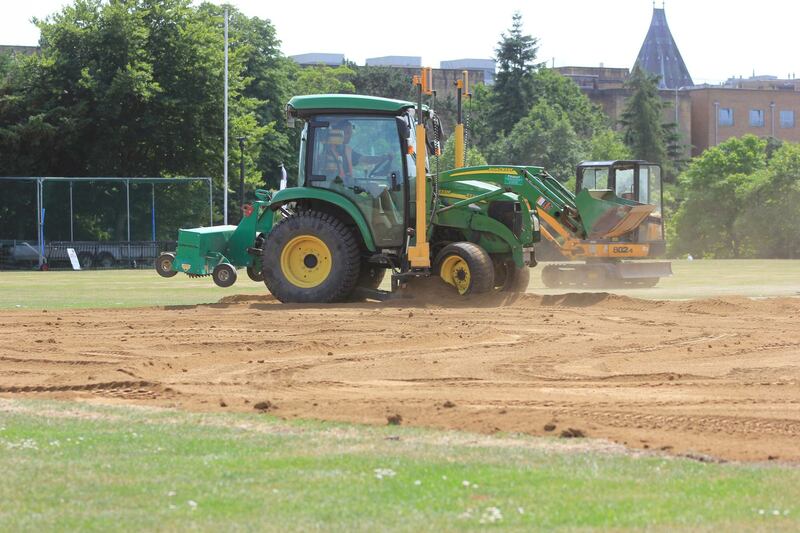 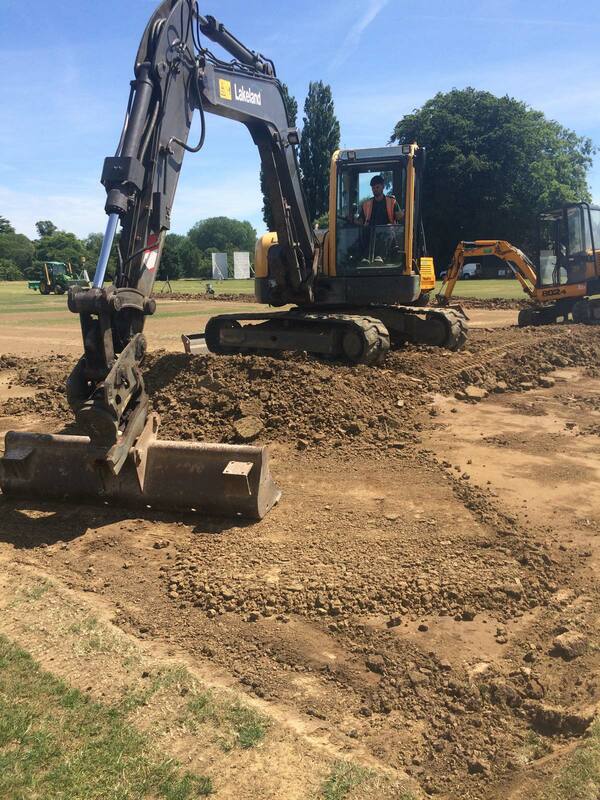 We were asked to reconstruct the square that consists of 12 pitches. 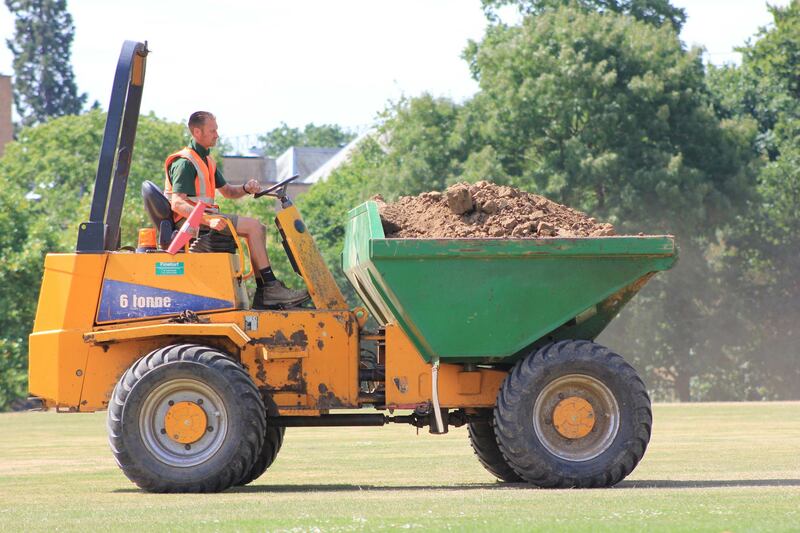 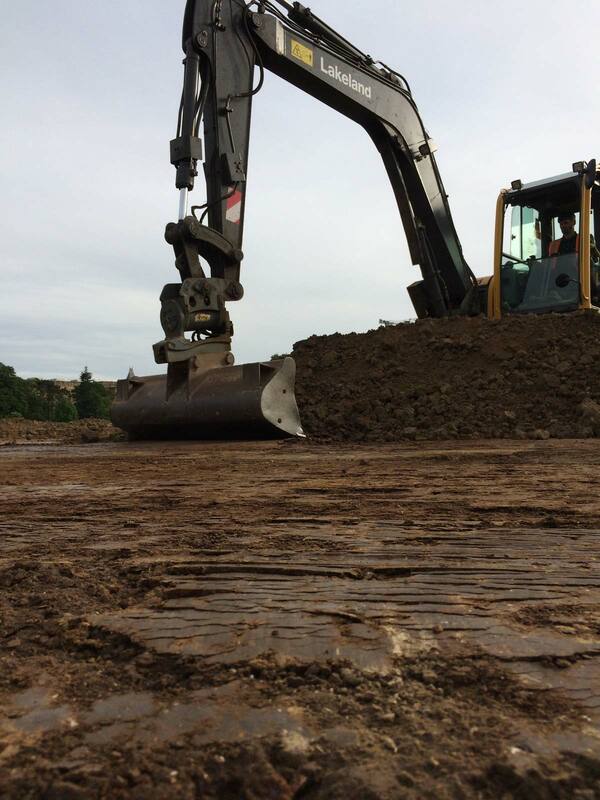 The square was marked out and the existing material excavated, loaded into low ground pressure dumpers and tipped on site. 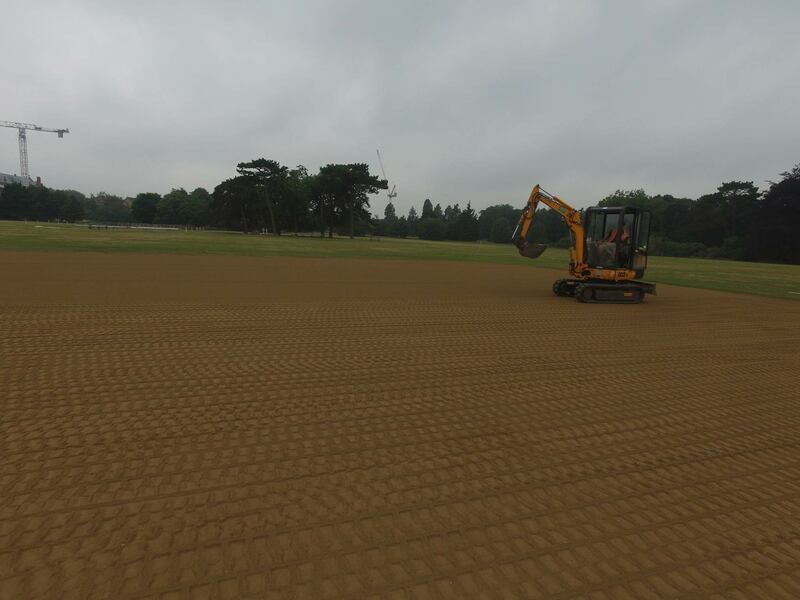 Once the desired levels were achieved the formation was lightly cultivated, accurately laser graded and consolidated ready to receive loam. 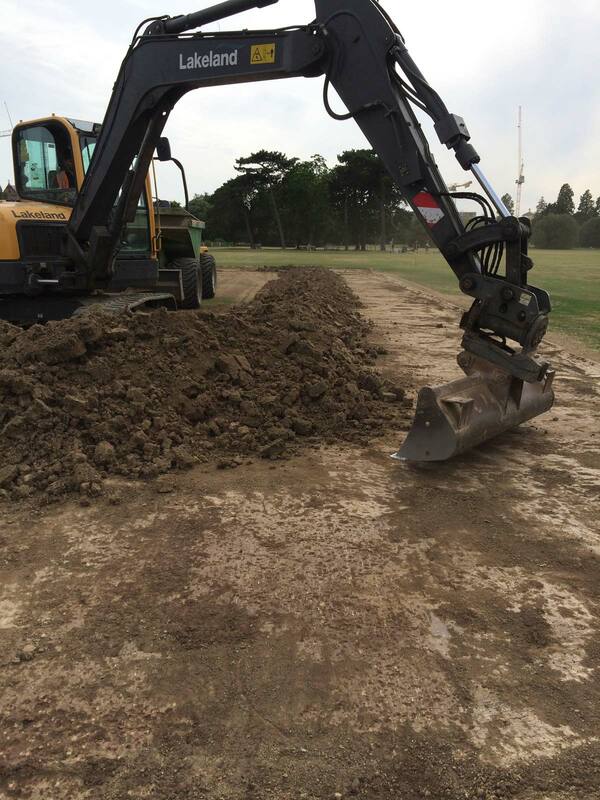 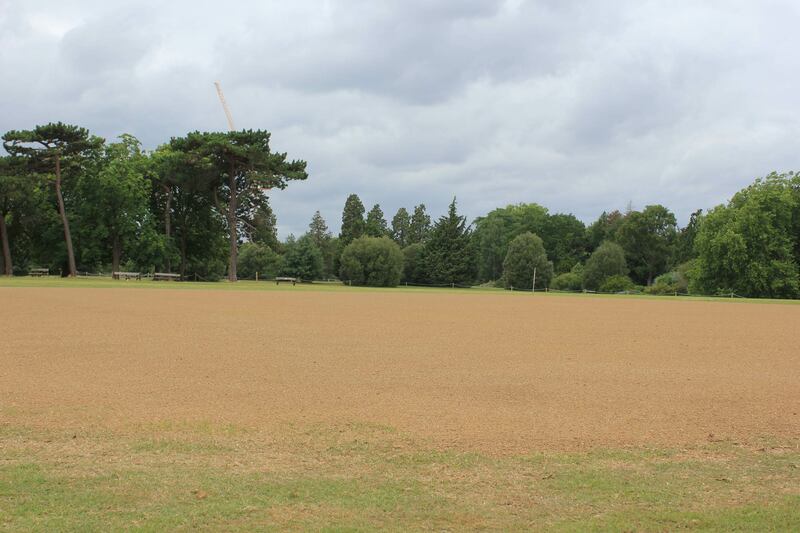 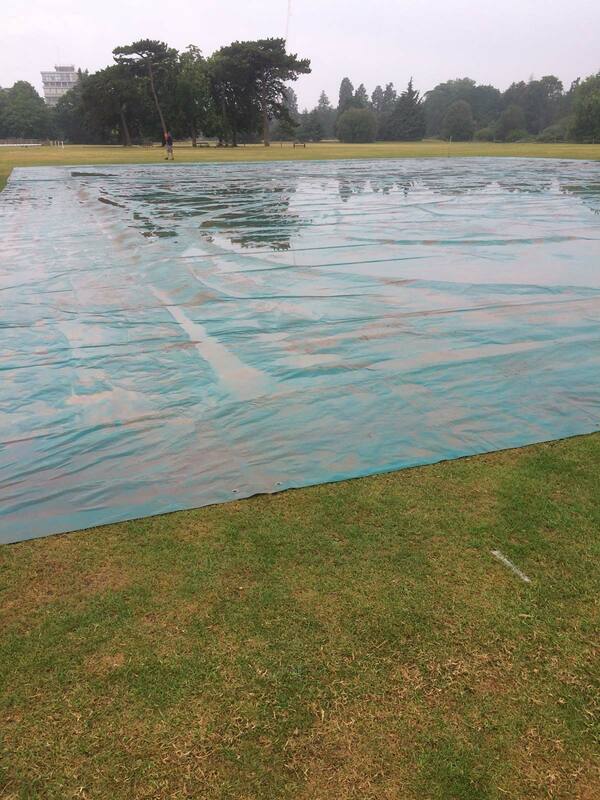 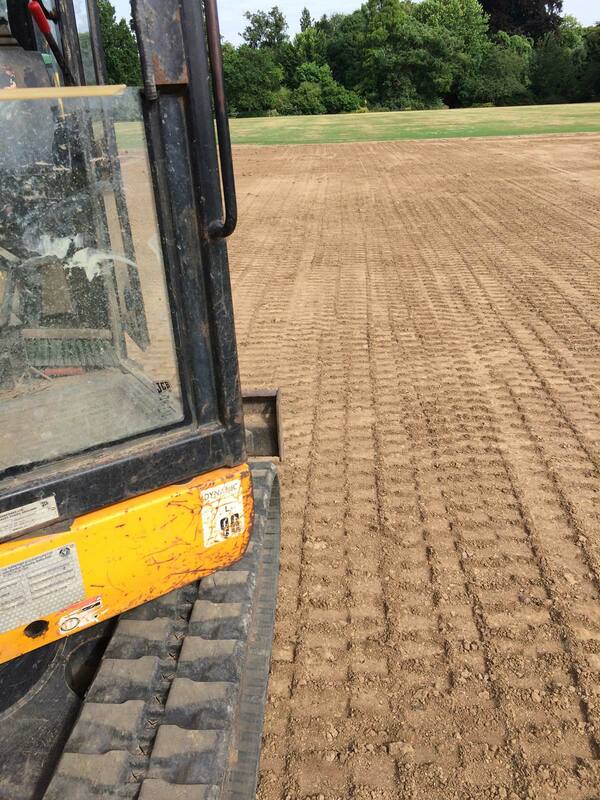 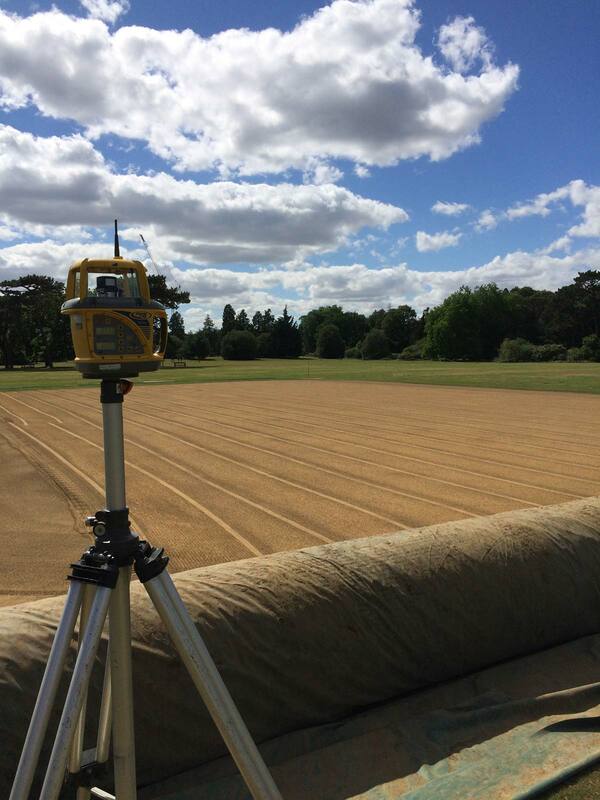 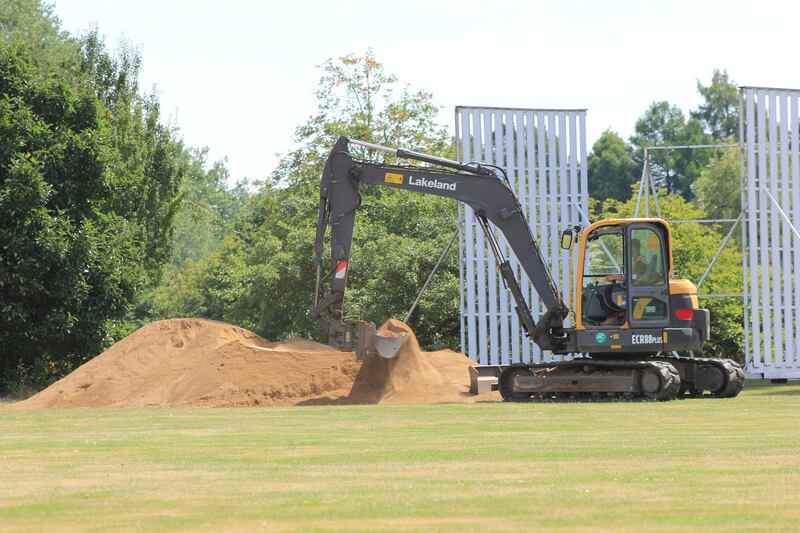 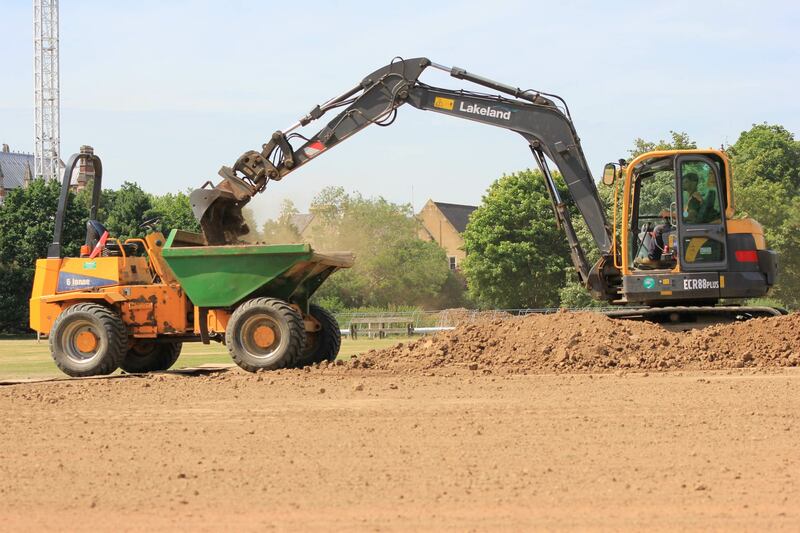 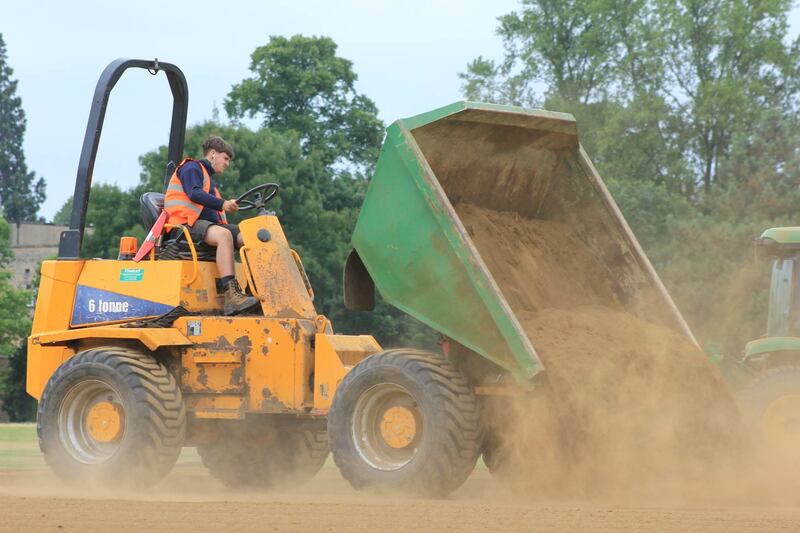 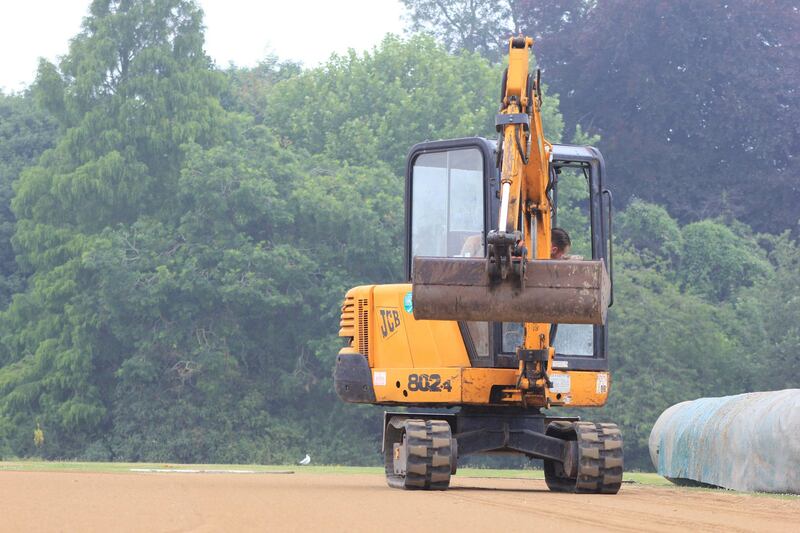 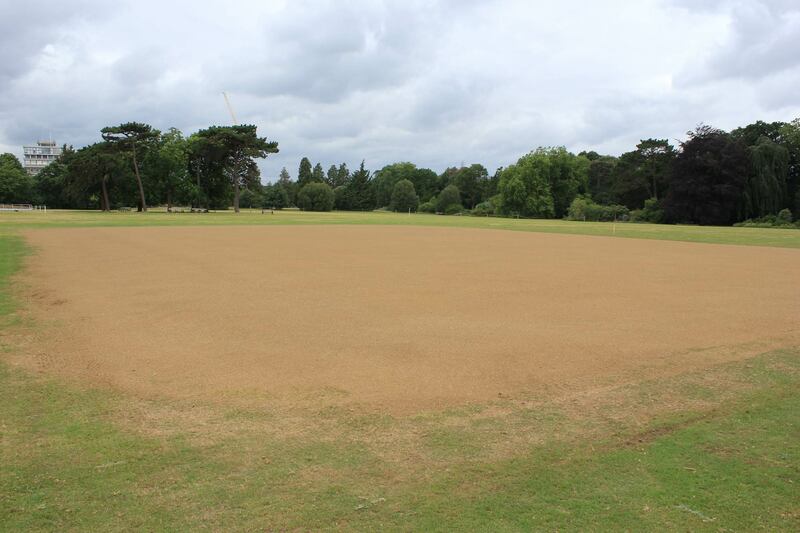 We used 150m3 of Binder Ongar loam applied in layers to give a final consolidated depth of exactly 114mm. 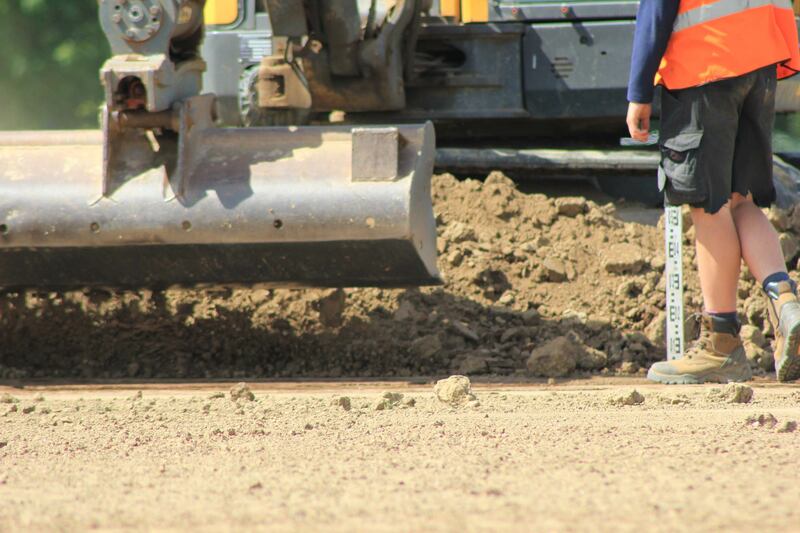 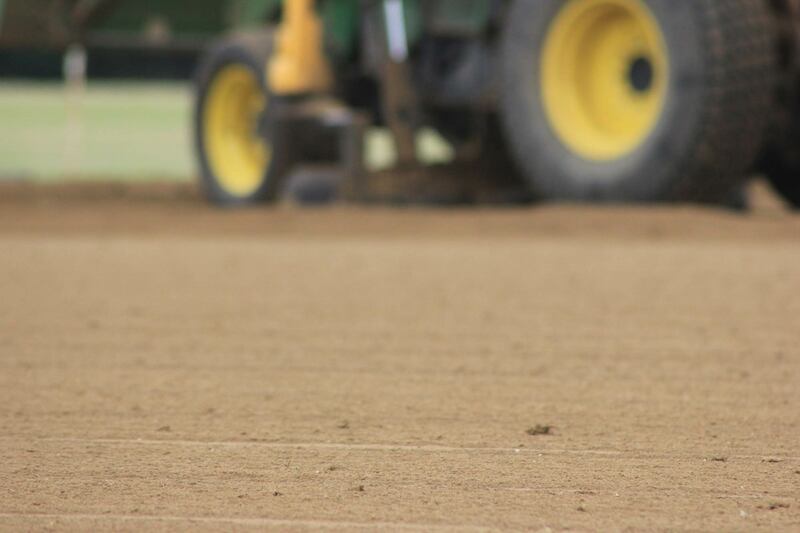 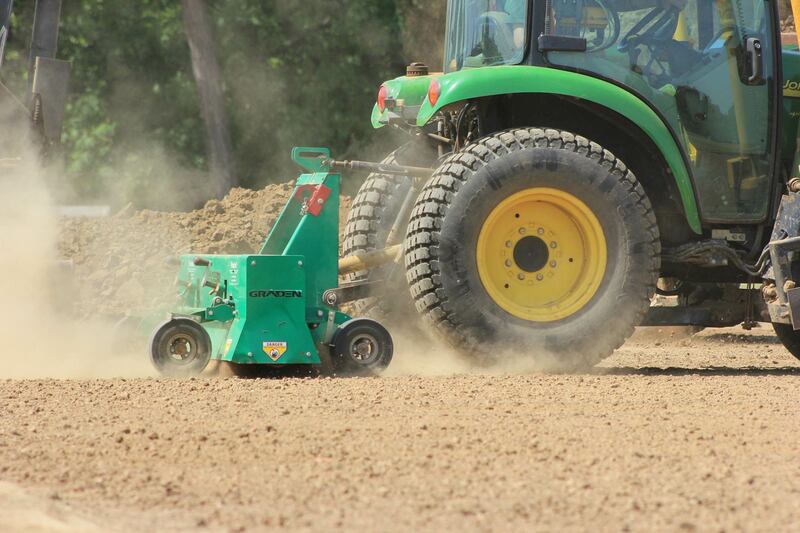 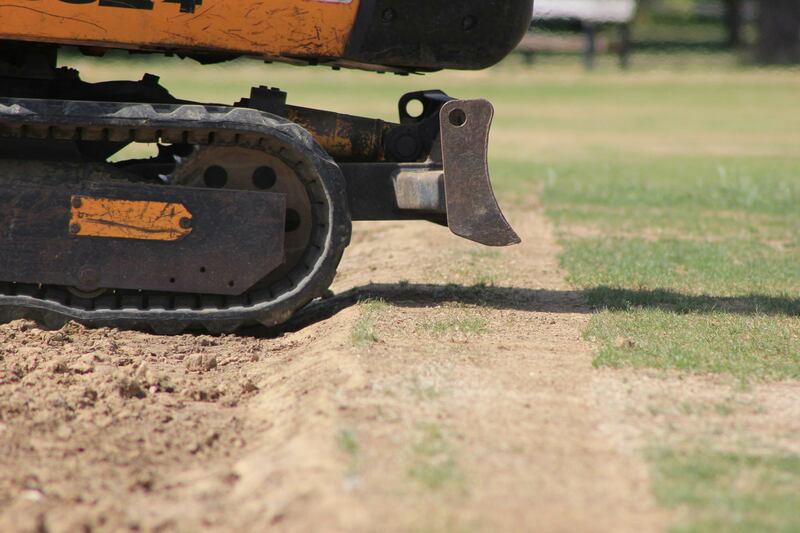 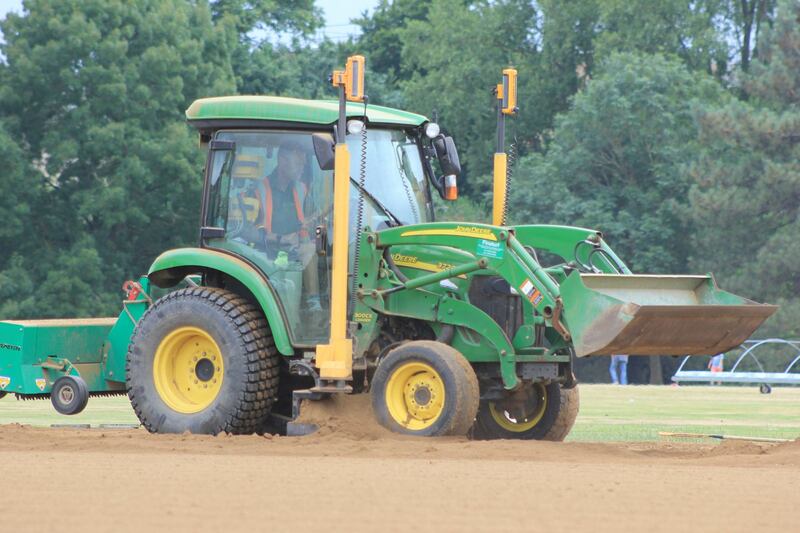 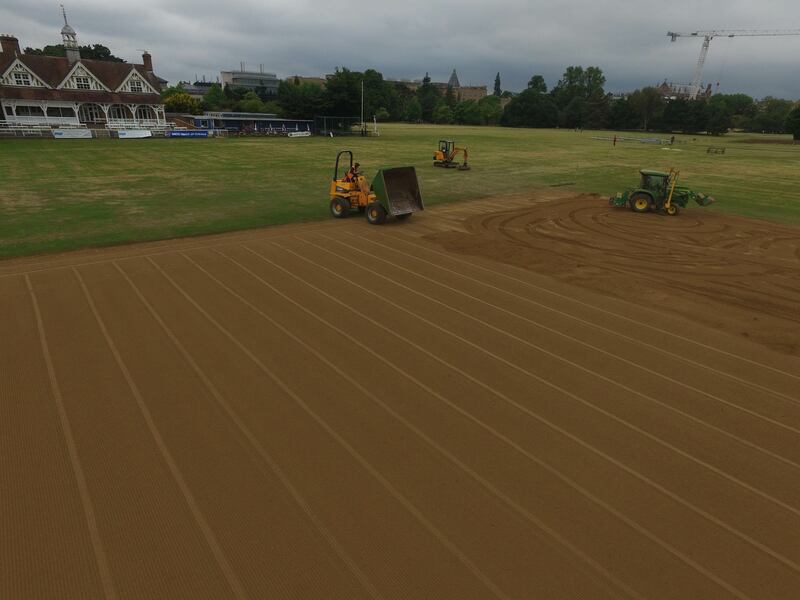 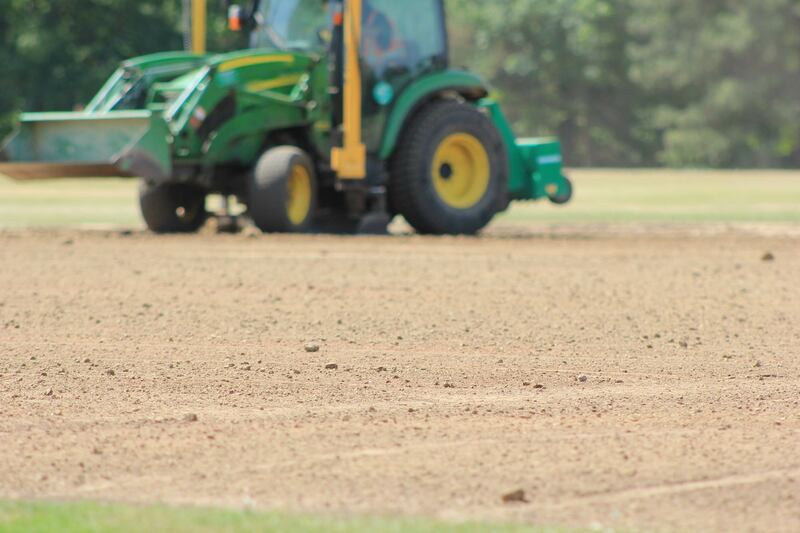 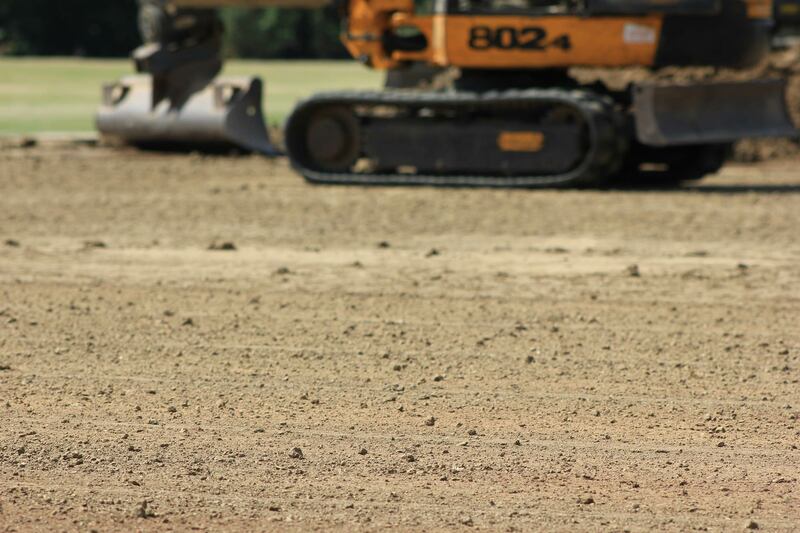 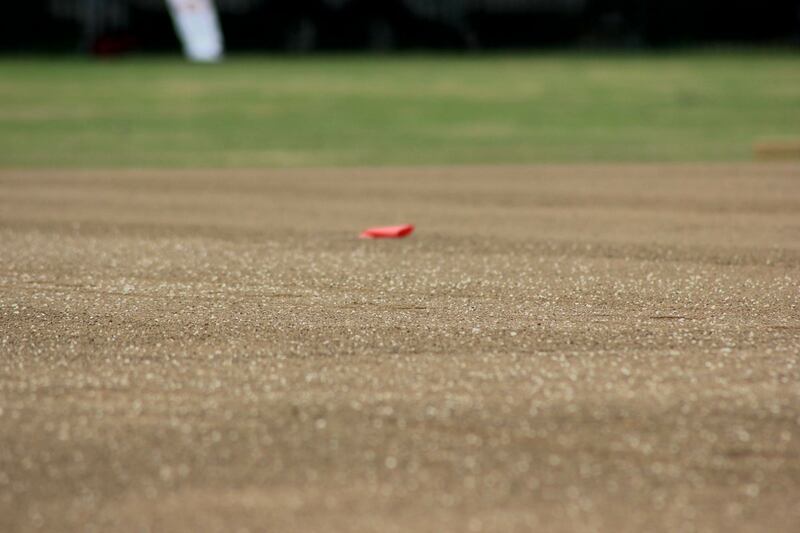 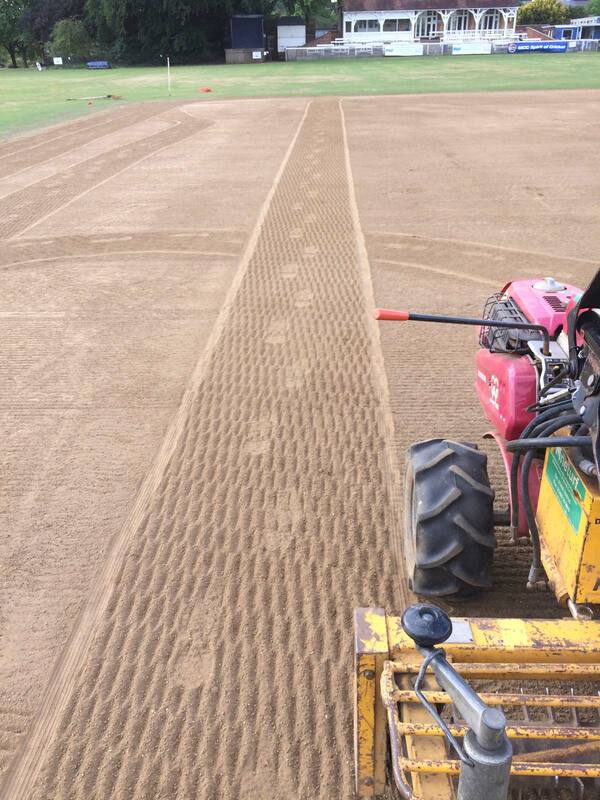 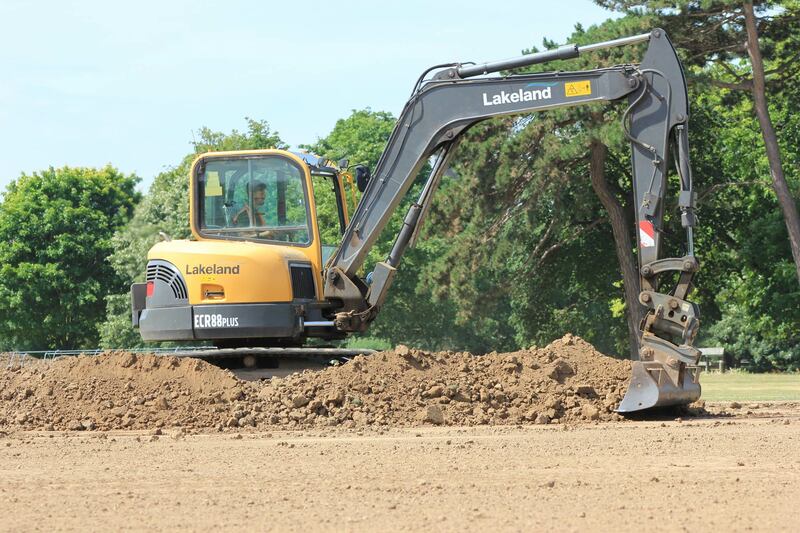 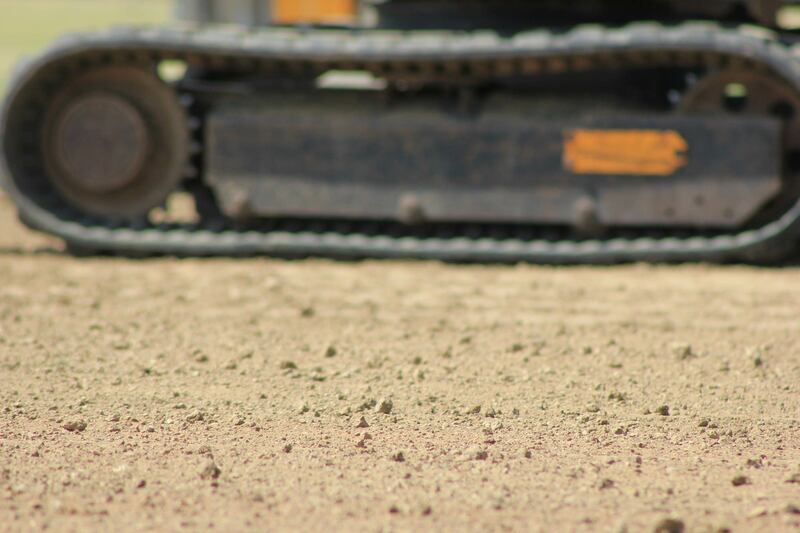 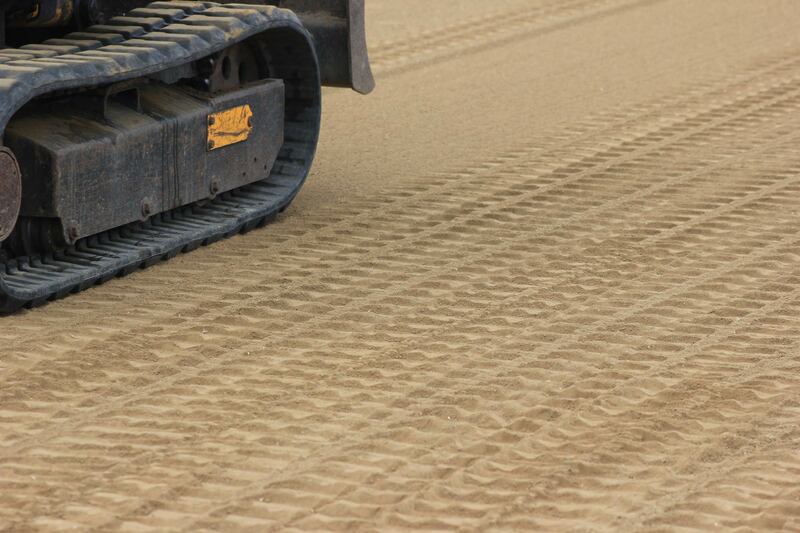 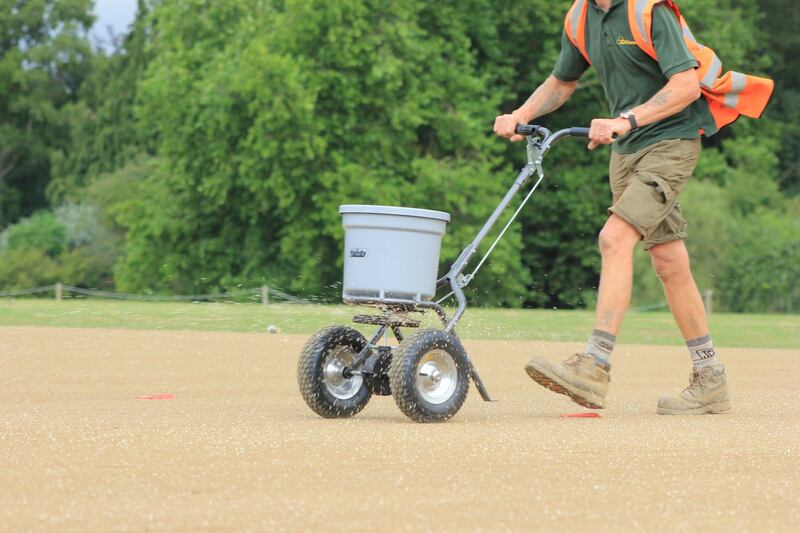 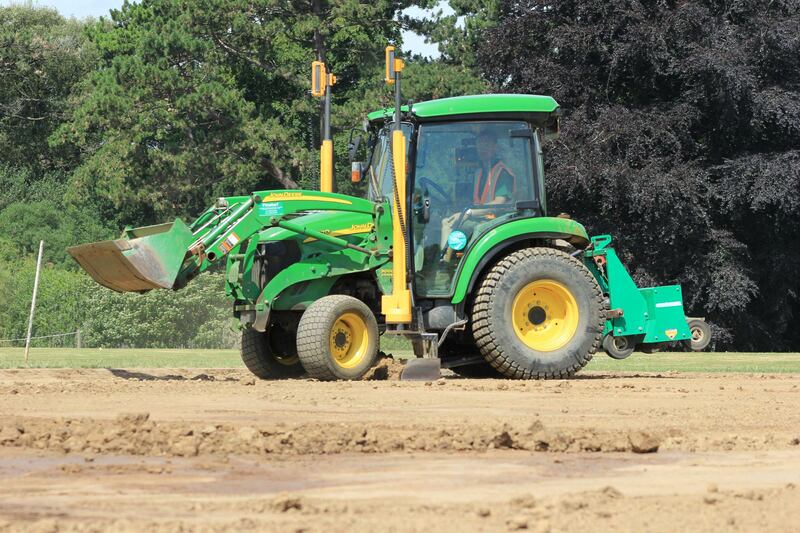 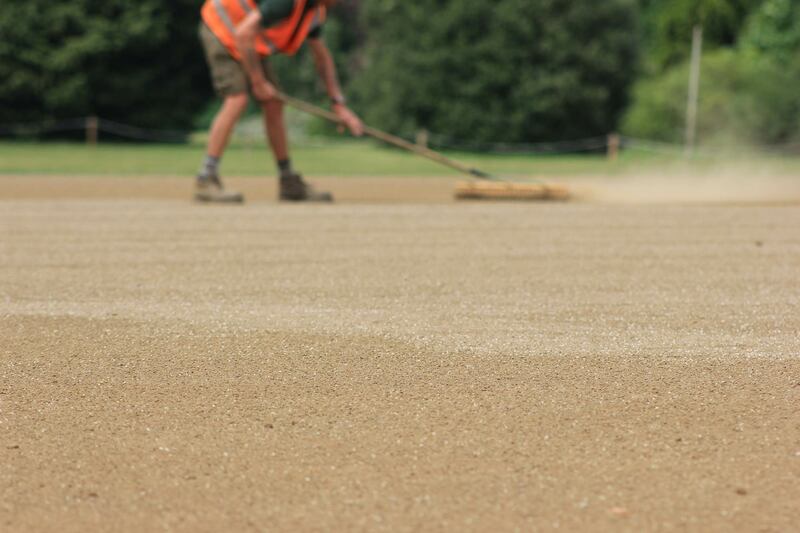 Each layer of loam is laser levelled, consolidated and keyed with the Graden to ensure a bond with the next layer. 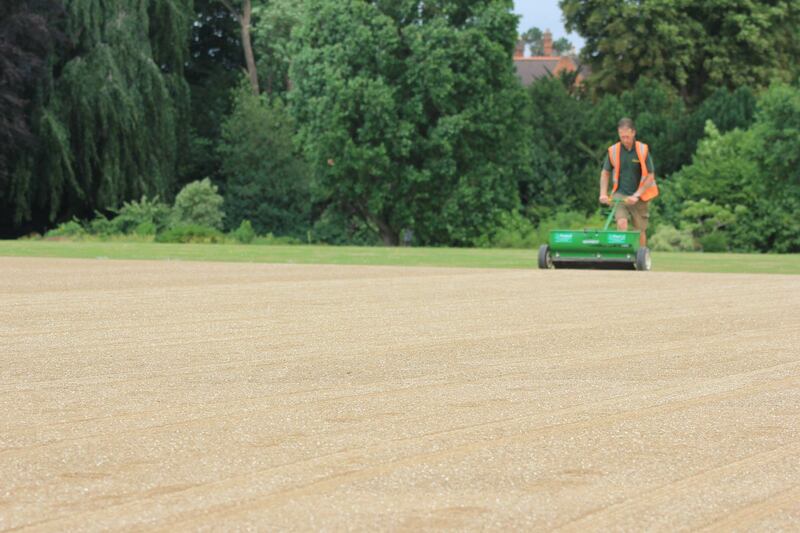 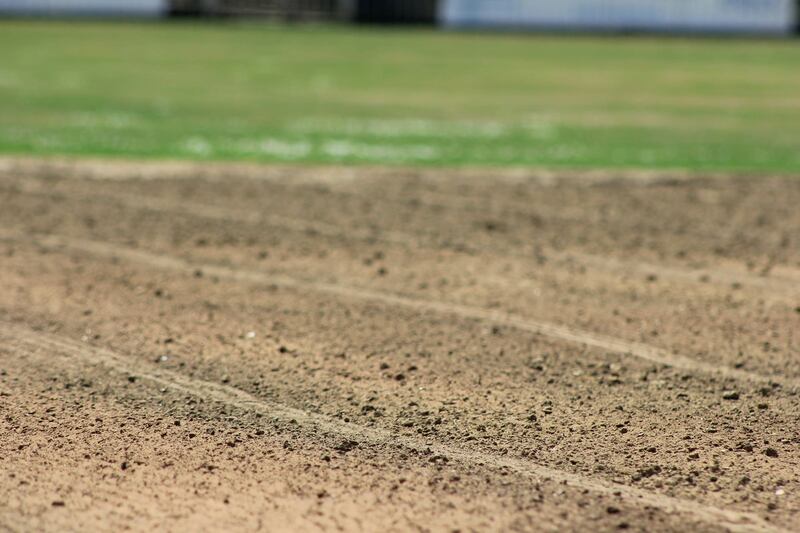 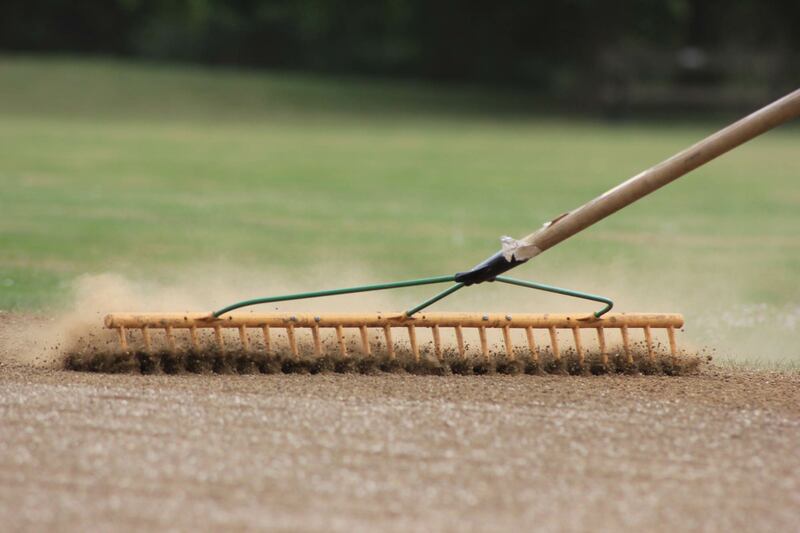 The surface was heavily scarified, again with the Graden, to create a tilth ready for seed. 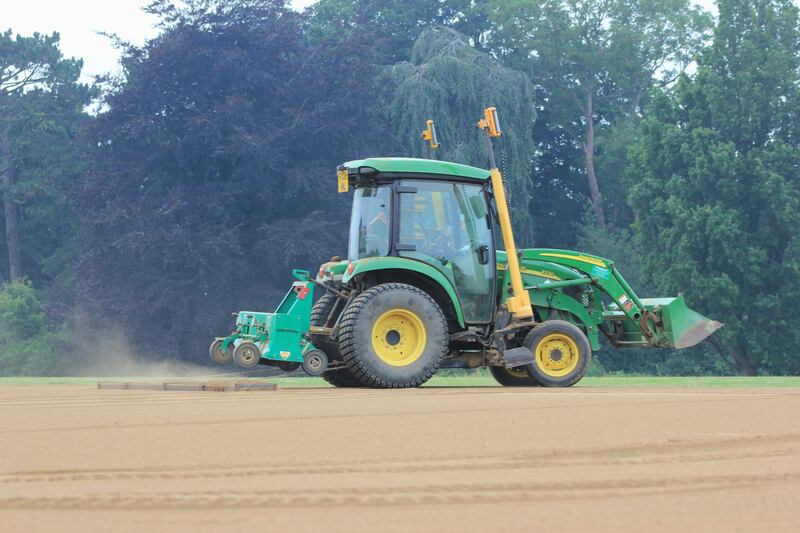 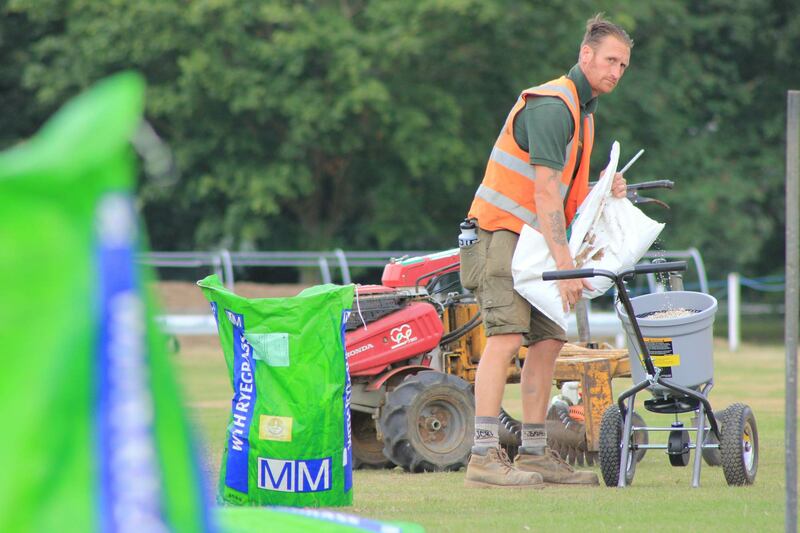 A 8:12:8 fertiliser was spread at 50g/m2. 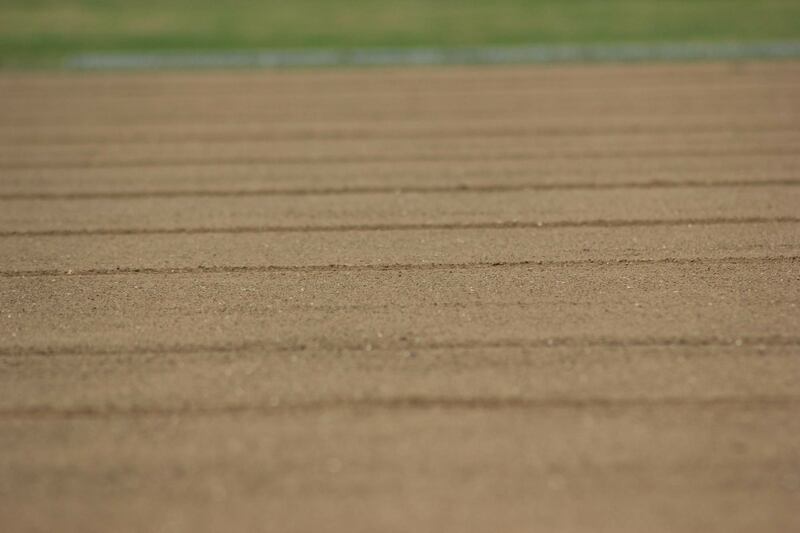 Limagrain MM50 was sown in transverse directions at a rate of 50g/m2. 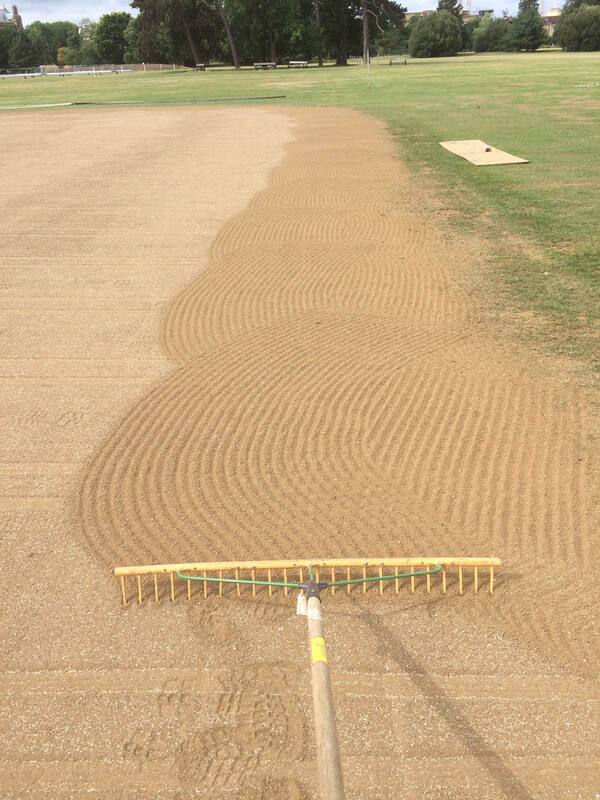 Finally, the entire square was hand raked. 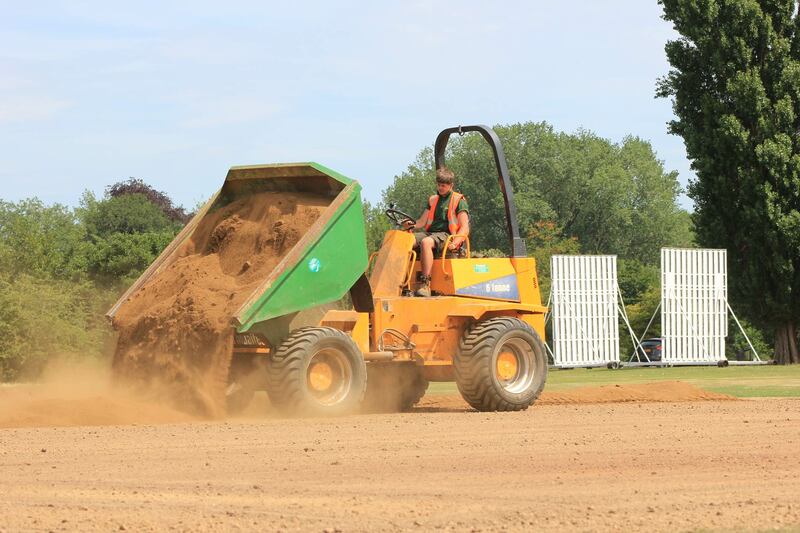 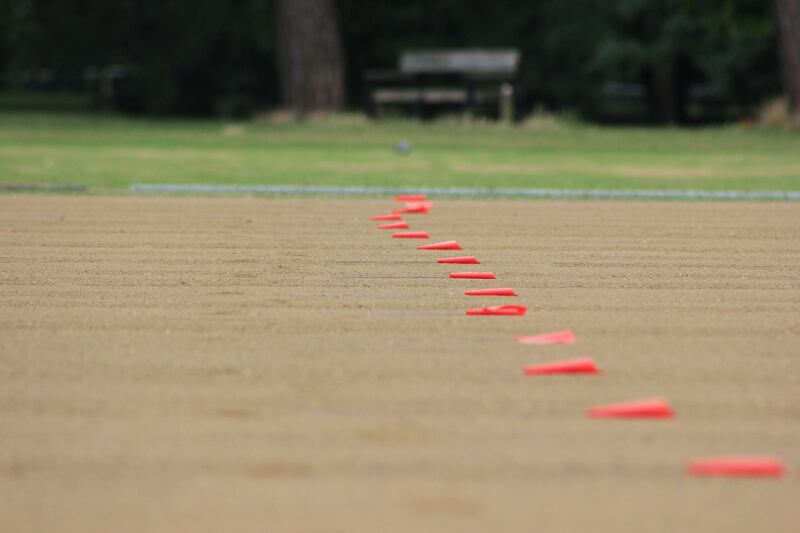 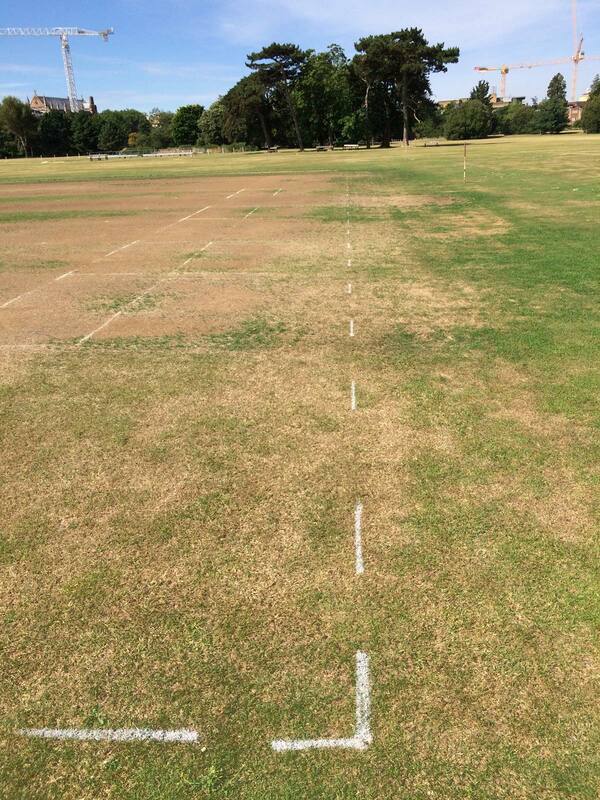 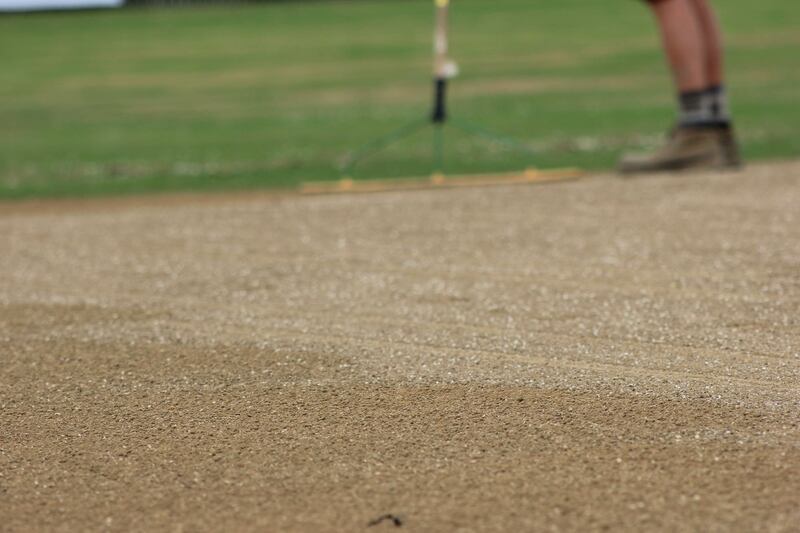 We have provided the university with a 12 month growing in schedule to ensure the wickets play to the high standard they were constructed to.